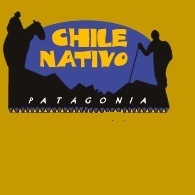 All Chile Nativo tours, river cruises, expedition cruises, and adventure trips. Find the best guided trips and expert planned vacation and holiday packages. Average rating of 5.0 for all Chile Nativo trips. Enjoy paddling through the Serrano River and fabulous views of Tyndall Glacier and Geike Range. Enjoy the Pichicolo thermal spring, our last stop until we rich Caleta Cholgo where we set up camp and spend the night. Enjoy a hot spring bath and the amazing southern latitude sunset followed by dinner and free afternoon.